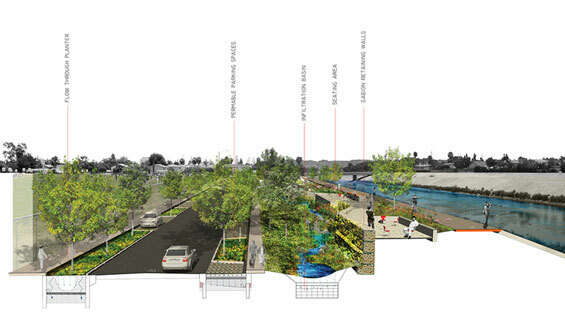 Milton Street Park is a proposed 1.2-acre linear urban park alongside the Ballona Creek Bike Trail in Los Angeles, California. Currently the bike trail is a non-descript paved path directly adjacent to the creek, separated from the road by a metal fence, which inevitably deters pedestrians and natural wildlife from sharing the space with recreational bikers. SWA was challenged with transforming the park and bike path from this dilapidated recreation area to a sustainable and welcoming outdoor space for community members. SWA’s project team, in conjunction with the Mountains Recreation and Conservation Authority, conducted community meetings including a public design workshop to ensure that the design and safety needs of the residents were acknowledged and addressed in the plan conceptualized and presented by SWA. 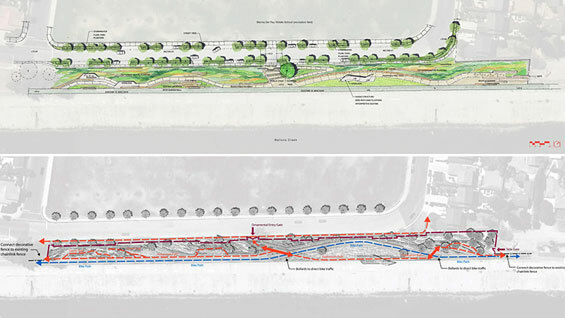 Driven by community input, the plan incorporates numerous green-design elements, including the use of recycled materials, native planting, flow through planters and treatment alongside the 1000-ft long, 45-ft wide stretch of land. 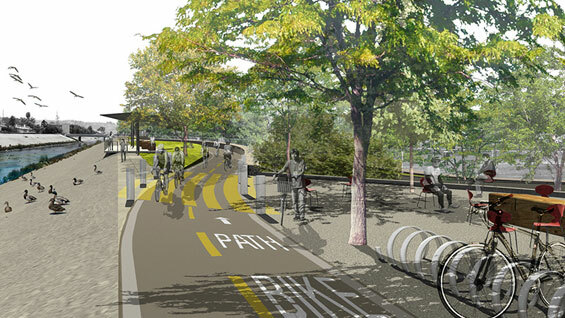 A variety of special elements such as bird watching platforms, bike trail enhancements, seating areas and outdoor picnic areas enhance the visitor experience along the trail. The challenge of transforming an unsightly urban corridor into an oasis that attracts people as well as wildlife is incredibly complex. By putting more emphasis on the need for community involvement, the design team was able to understand not only what the environment requires to become healthy, but also what the residents desire in their local public open space. 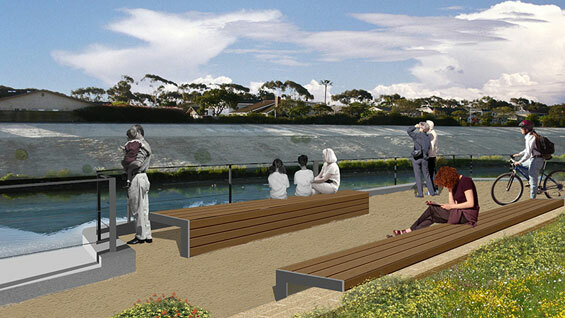 SWA’s plan works with the creek environment, seamlessly connecting passive and active recreation with the needs of the local ecology. The new park promotes the use of alternative transportation to a wider audience, and creates a sustainable network within an existing urban environment.